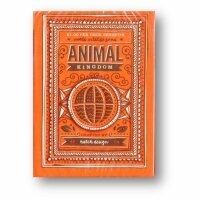 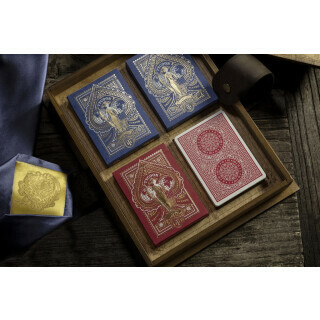 Available in Crimson Red and Ming Blue, the cards are produced in the USA using FSC-certified papers derived from sustainable forests, vegetable-based inks, and starch-based laminates. 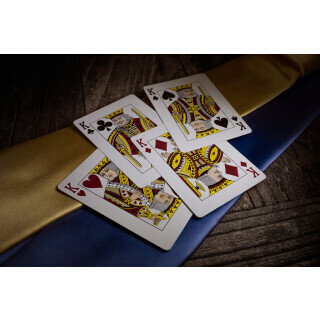 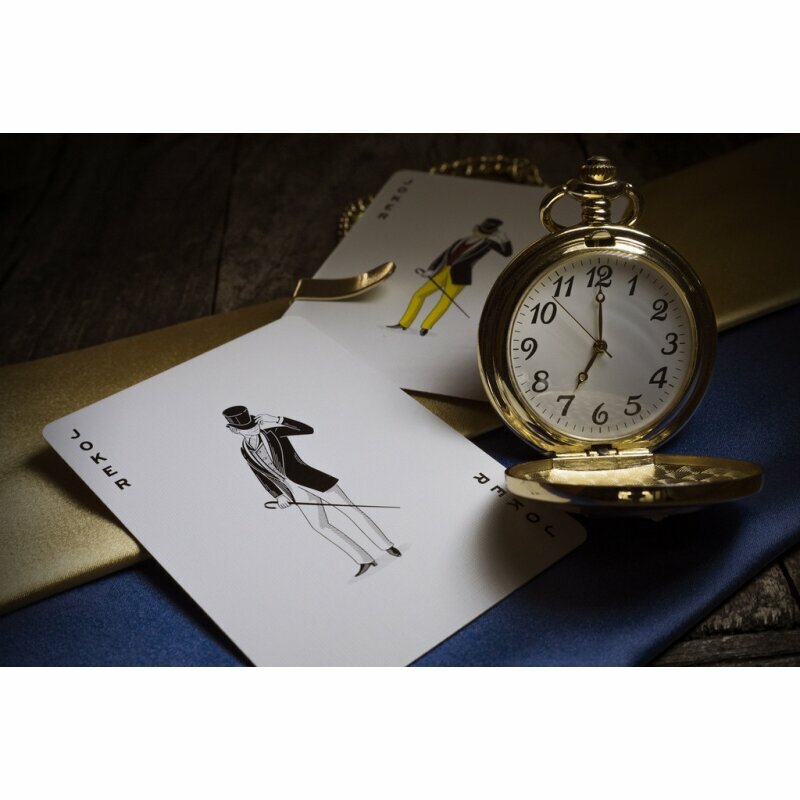 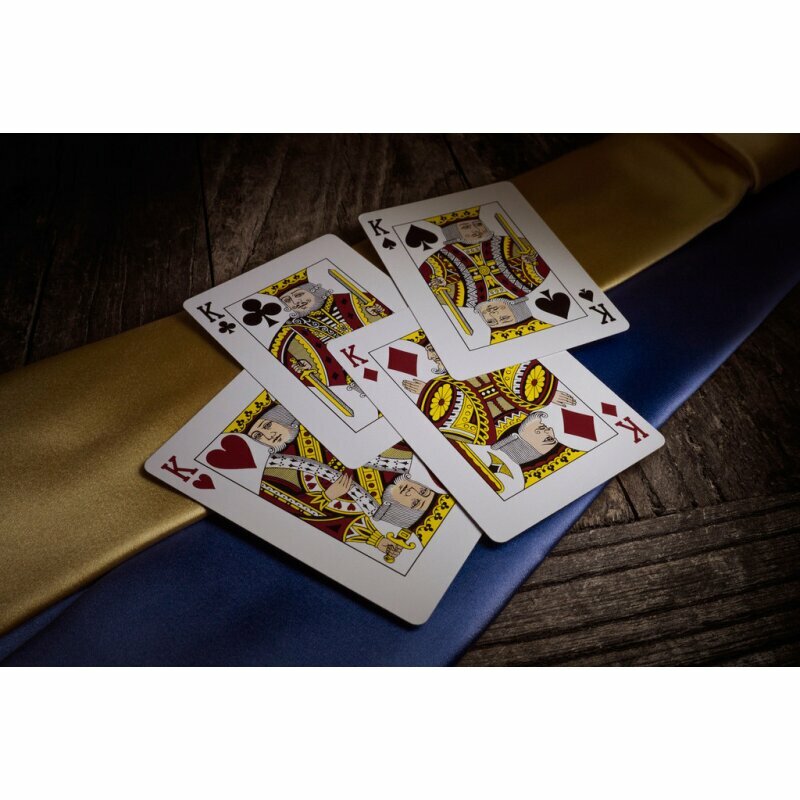 Featuring court cards licensed from Fournier in Villareal de Àlava, Spain, the Jacks, Queens, and Kings have skin tone faces - joined by an elegant, debonair Joker and Ace of Spades. 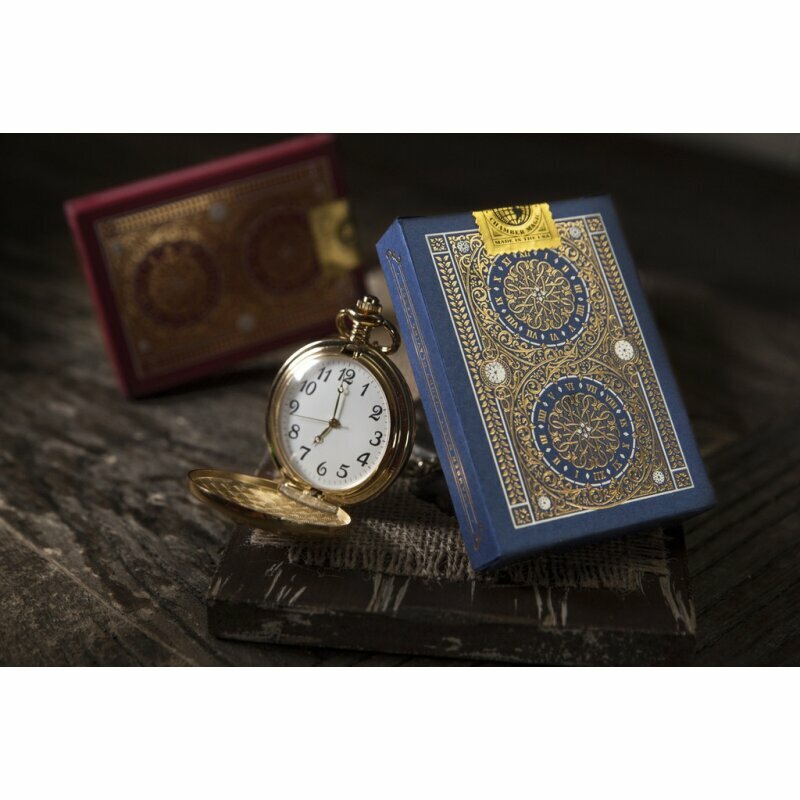 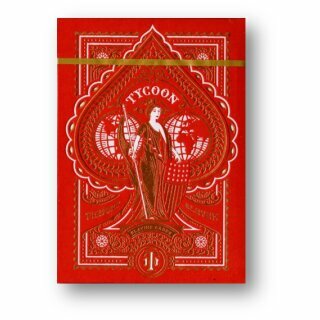 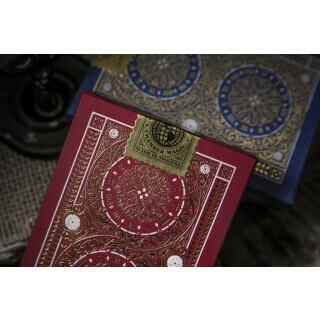 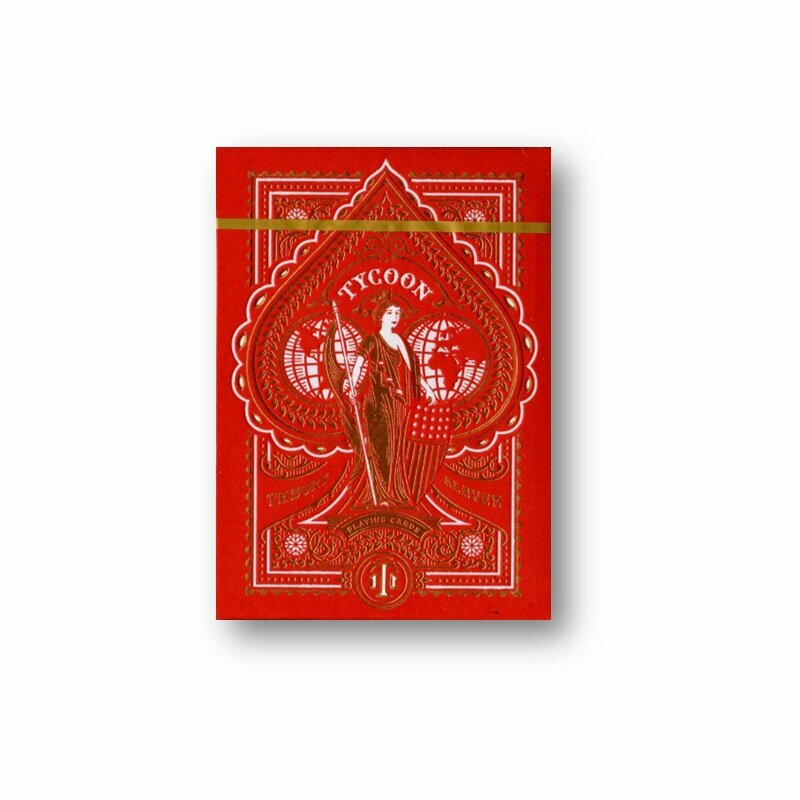 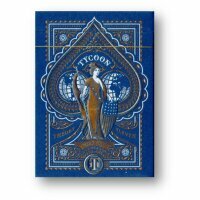 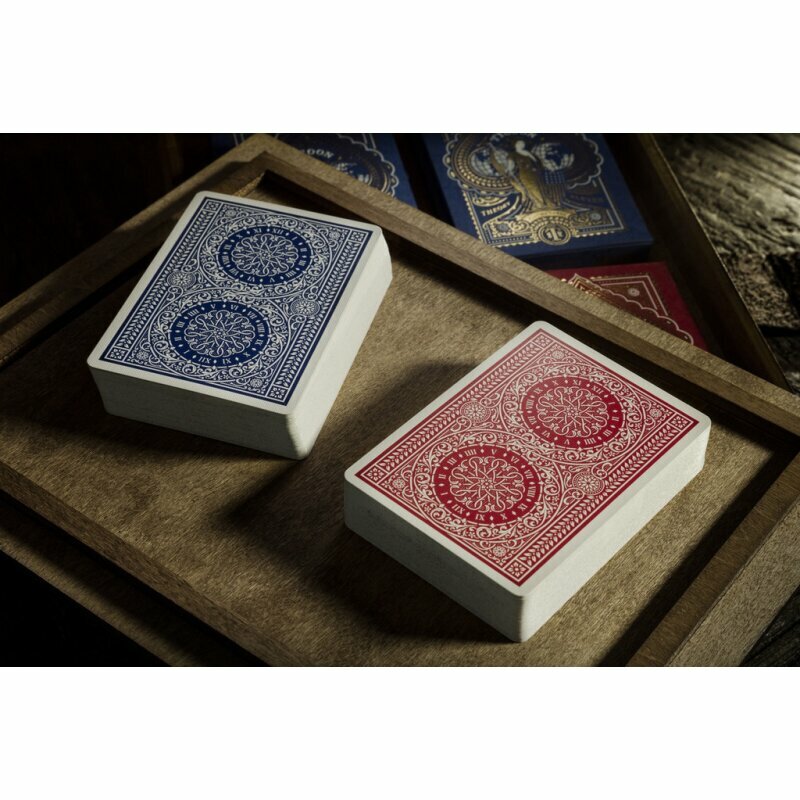 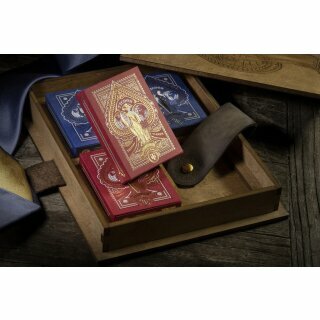 Premium, designer playing cards produced in collaboration with Steve Cohen, "The Millionaires? 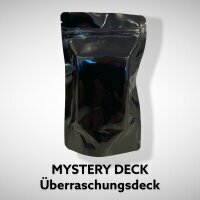 Magician,? 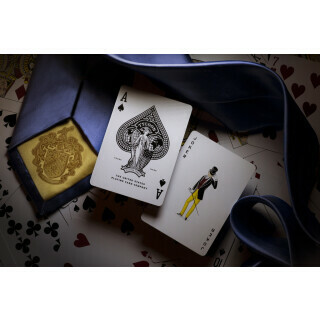 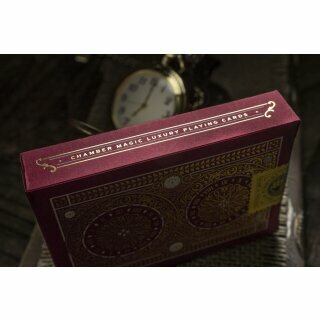 star of Chamber Magic®, a headline show at the prestigious Waldorf Astoria Hotel in New York City. 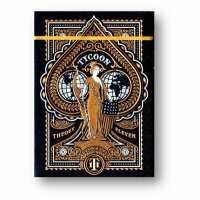 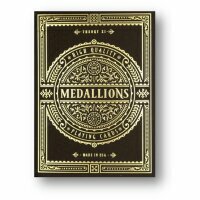 From Theory11: In August 2013, we began a quest to create playing cards fit for display at the legendary Waldorf Astoria, the gathering place for royalty and the ultra-wealthy. For the past 14 years, Cohen has performed Chamber Magic there, in a private Waldorf Towers suite, for sold-out audiences including Warren Buffett, David Rockefeller, and the Queen of Morocco. In 2012, Cohen became the first magician in a half-century to sell out Carnegie Hall.